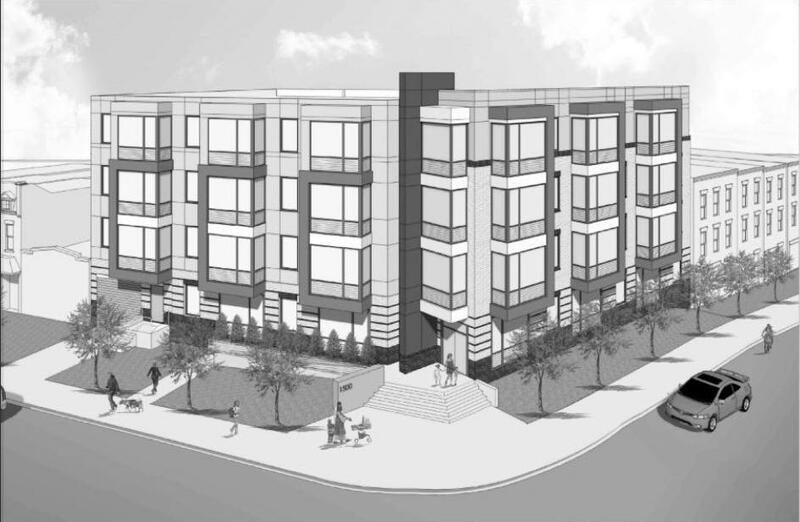 Rendering of 41-unit condo building planned for 1500 Penn Ave SE. Produced by Bonstra Haresign Architects. During the Feb. 4 ANC 6B Planning and Zoning Committee meeting, Eric May of the Goldstar Group shared updated renderings of their proposed 41-unit condo building at 1500 Pennsylvania Avenue SE. The drawings include the layout of the underground parking garage, a garage which will include 21 spaces. Goldstar is seeking a variance on parking space size requirements, seeking to count 8 compact spaces towards the 21 space minimum requirement. May also asked the committee to weigh in on an additional variance request related to the height of the penthouse. The variance will allow the rooftop penthouse to have varying height instead of uniform height. The committee voted unanimously to recommend that the full commission support both variance requests and the raze permit for the project. ANC 6B will vote on the committee recommendation during the commission’s Tues., Feb. 10 meeting, 7 pm at the Hill Center (921 Pennsylvania Ave SE). Meeting attendees will have an opportunity to ask questions/provide comments on the requests. If you can’t attend the meeting, please share your comments with me directly or post below. This entry was posted on Thursday, February 6th, 2014 at 11:08 pm and is filed under 15th Street SE, Barney Circle, Development, Penn East. You can follow any responses to this entry through the RSS 2.0 feed. You can leave a response, or trackback from your own site. Bonstra Haresign Architects has done some really nice & historic projects in DC. It is disappointing that this design looks like a simplistic Arlington regurgitation. I thought they were going to produce a design that fits in with the neighborhood’s character? Glad to see the construction though. As always Brian, thanks for the information and representation.